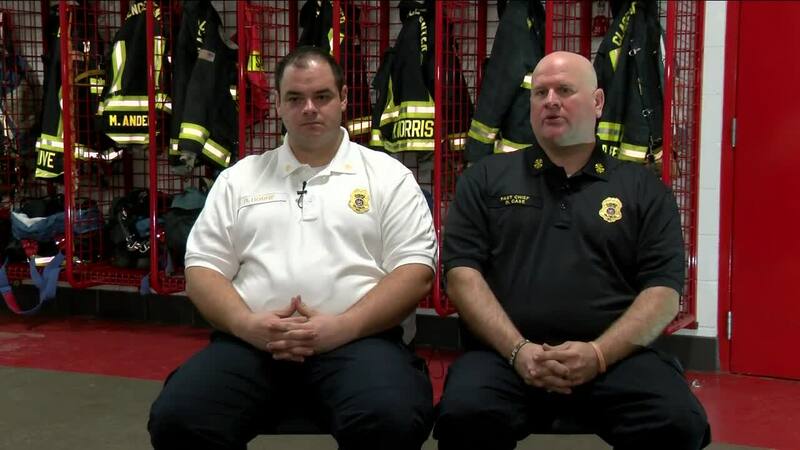 Reporter Thuy Lan Nguyen sat down with Clarence Center Fire's past Chief Dave Case and current Chief Benjamin Hodge about their memories of Colgan Air Flight 3407. CLARENCE CENTER, N.Y. (WKBW) — "This is emotional for me. This is my community. This is my town," says Dave Case tearfully, former chief of Clarence Center Fire. He was chief the day Flight 3407 fell out of the sky. Sitting beside him inside the truck bay of the Clarence Center fire hall is current chief Benjamin Hodge. Together they recall the memories of February 12th, 2009, filling in the gaps for each other. Hodge has been with the fire company for 11 years, Case has been with it for 27 years. Case says when the call came in, there were no firefighters at the hall. Members started arriving at the hall, but the crash scene was so close, some members walked the half block instead of riding on an engine. "I thought it was a smaller plane, it was remarkable. It only hit one house. I then walked around the back, and wow, I saw the tail fin and was like, 'This is a big plane,'" says former chief Case. "That's the same image that pops in my head is coming down Long Street, looking to the left and seeing that section of the tail," says Chief Hodge. Other first responders recall the same memories . 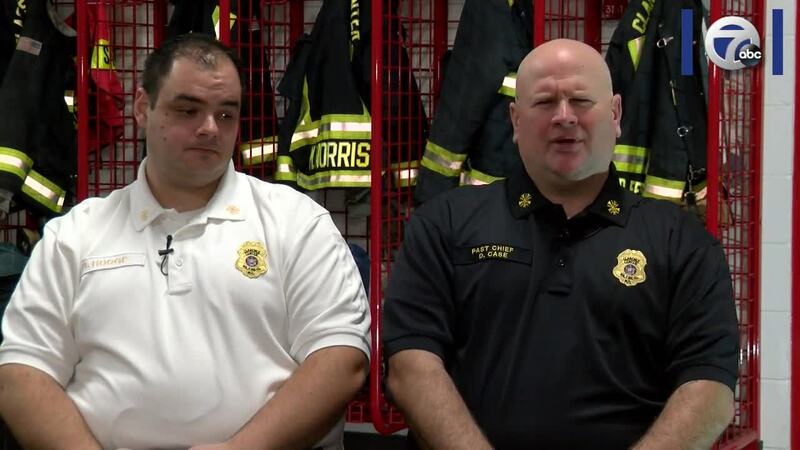 Both Hodge and Case explain procedurally what a firefighter's priorities are when they get to a scene: look for signs of life and get people to safety, then fire suppression and then protection of property. In this case, firefighters rushed to evacuate neighbors to safety and then came to the realization there were no lives on the plane they could save. "I mean, we didn't have time to feel any emotions. That came later, after we went home," says Case. When it comes to the emotions, the aftermath, the effect of 50 lives lost and seeing mass casualties, these firefighters say the experience lingers with them every day. "I think about it every time I drive to the fire hall," says Hodge. "Our membership is stronger since then. Our membership hasn't declined," continues Hodge. He says the desire to help the community in times of need like this one has driven many to continue being a part of the volunteer company. "There were a lot of tears," says Case, reflecting on the debrief firefighters had after their conclusion at the site of the crash. While some stray away from talking about their experiences at the scene, many like Case and Hodge are willing to share their feelings. "It's selfish to keep it to yourself," says Case. 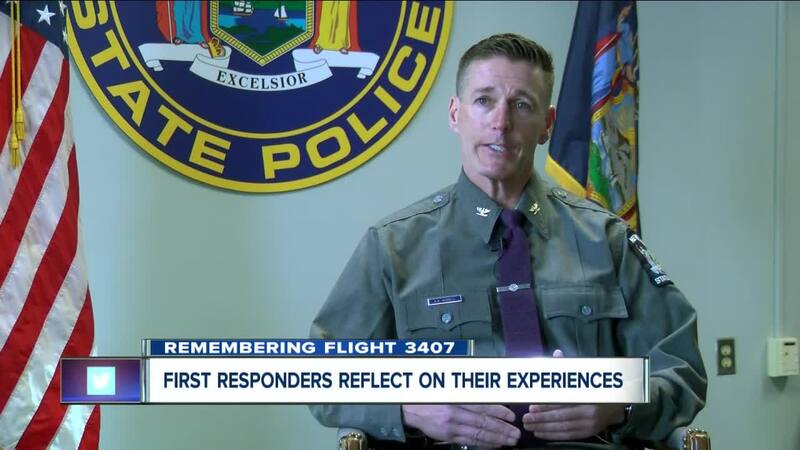 He finds it beneficial to share his feelings for his own well-being and to the success of other first responders dealing with an incident like the crash of Flight 3407. Despite tragedy, both firefighters have seen a lot of good come from Februrary 12th of 2009. "It's made us stronger, no doubt, as a fire department," says Case. Hodge finishes Case's thought, "It brought us closer together." Reflecting on how the community rallied to support the crews on scene, Case fights back tears. "I came back to the hall after a while and I was floored to see what the fire hall had turned into. Our banquet room was filled floor to ceiling with water, drinks, food. People were here asking what they could do. Restaurants brought us food to make sure everyone always had a hot meal, a place to rest for a moment...To everyone that was here, thank you."